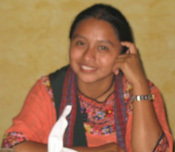 Erick Gabriel Chox López was 27-years old when he became a GOJoven Fellow. His professional experience includes coordinating an HIV project at the Association for Youth and Cultural Development of Cantel, Quetzaltenango. 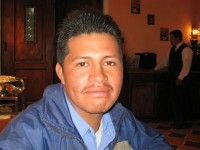 Erick began his work in youth development in 1998 with the creation of a youth group. He participated in the Guatemalan Youth Assembly in 1997 and the National Association of Guatemalan Youth in 1998, and was subsequently selected by PAHO to represent Guatemala at a youth leadership forum in the U.S. From 2003-2005, Erick was Coordinator of the National Assembly of Guatemalan Youth, responsible for coordinating over 50 organizations working with youth. Posted in featuredfellow, Guatemala 2009.